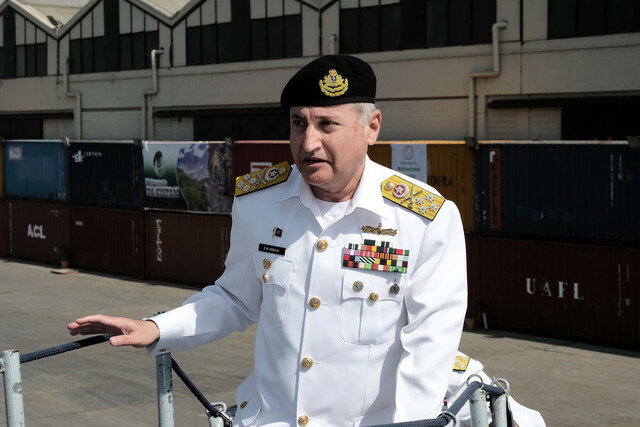 KARACHI, Feb 10 (Bernama) — Malaysia and Pakistan could help each other in the development of their respective blue economy just as they strengthen their naval ties, said Pakistan Navy’s Chief of the Naval Staff, Admiral Zafar Mahmood Abbasi. “The future lies in the sea. We can share information and experiences. What Malaysia have achieved, what Pakistan have achieved, we can strengthen each other in that dimension,” the Chief of Pakistan Navy said during an interview with Bernama onboard the naval multi-role support ship KD Mahawangsa from the Royal Malaysian Navy (RMN) at the Karachi Harbour, here today.